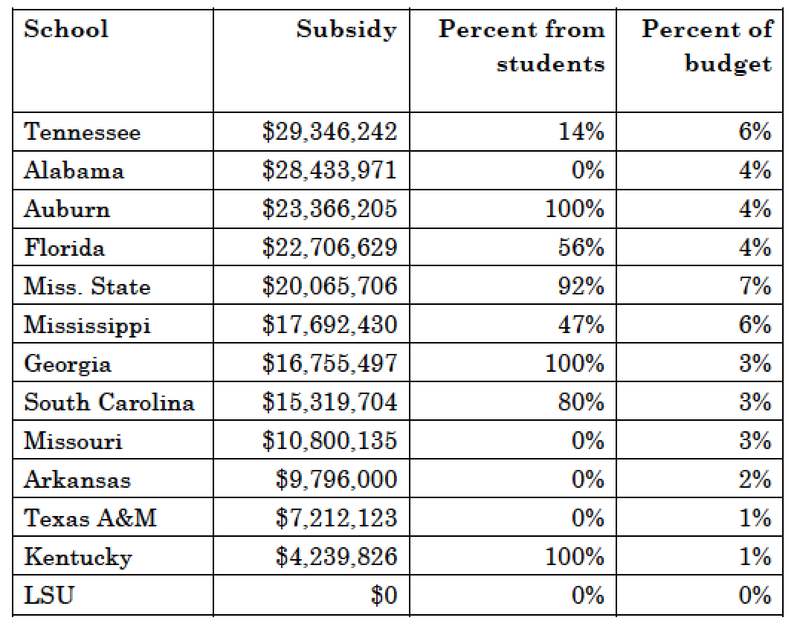 Who Pays How Much to Sports in the SEC? For institutions that do not rely on student fees, the money comes almost 100 percent from institutional funds, so the students would still pay the cost, but indirectly, through higher tuition, for example. Vanderbilt University is not included, because it is a private institution and not subject to public records law. LSU has committed itself to transferring $7.2 million/year from athletics to the general fund — the opposite direction of the subsidies portrayed in this article. In July, the university increased the transfer by $3 million for this year, given the funding crisis facing the university.